The place where Surgeon’s evocative, industrial dementia of Shaper Of The Unknown meets Oscar Mulero’s eerie off-beat piercing madness of Friday Thirteen meets the relentless intensity of Regis’ Rites meets the lo-fi hisses and creepy crawling of Function’s Montage meets the acute claustrophobic microminimalism of Portion Reform’s Screaming The Truth. As surprising as it is delightful. As repulsive and abominable as it’s attractive and alluring. Executed in a ghoulish yet droll fashion, this release is, upon first sight, firmly rooted in the more malevolent techno UK tradition, but synchronously sounds original and distinctive. The blend of humor through the track titles and solemnity brought to life via the onerous tunes is remarkably effective. The language of the music, earthly and elaborate, forges a world I as a listener will long return to with desired abandonment of the remains of the real one. The burdens of guilt, the benefit of escape, the uncertainty of doubt, all of it is done in a revealing way. But maybe I’m just being ineffectually loquacious, as this awesome double pack can also be listened purely for the fun it provides, and the most rewarding moments it will provide to an individual on the dance floor. Leave us, or at least me, wanting more. 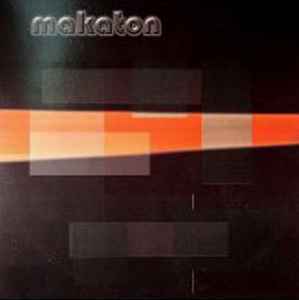 Makaton has released some fantastic music throughout the years, but this is something you shouldn’t miss if you have the slightest, remote interest in artists like the British Murder Boys, Grovskopa, Mulero/Exium/Wunsch or Loktibrada.